RIVER PRINCESS was launched in June 2004. Builder and owner Rodney Collard writes "This design was drafted on paper from photographs from WoodenBoat magazine. We read up on stitch-and-glue construction. We started with a bow and stern piece and then made a frame to mold the boat out of 1/4" plywood. Most of the time spent on construction was waiting for each stage of epoxy to cure. I had so much fun building the boat with my 10-year-old daughter, Jessica. 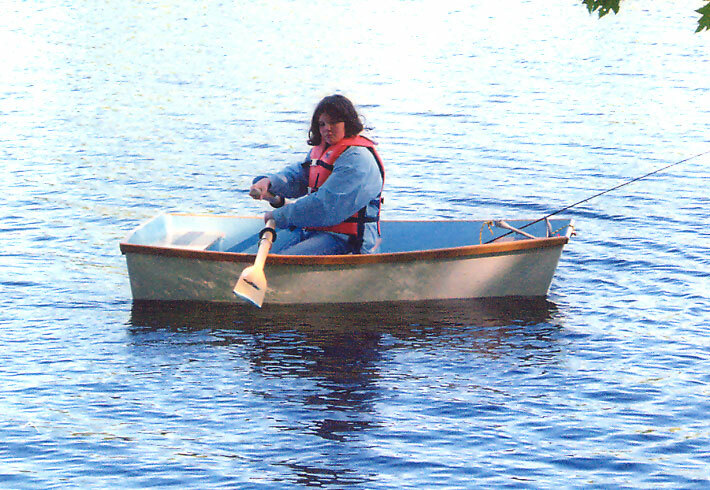 Knowing she was building her own boat, she put pride in her work. Contact Rodney via email at rcollard@maine.rr.com.